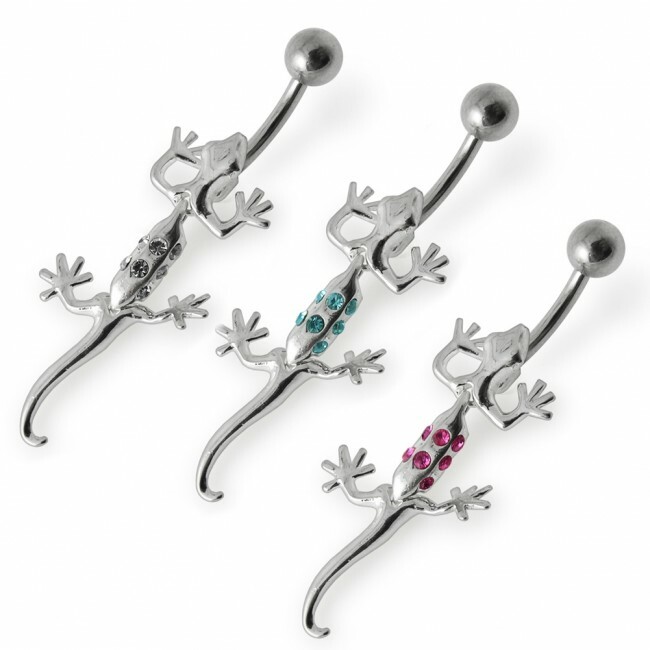 Slip on the 14 Gauge Moving Jeweled Lizard Banana Bar Navel Ring on your navel and complete your ultra-stylish crop-top look. The bar and ball ends are crafted out of 316L Surgical Steel and the charm part is crafted out of 925 Sterling Silver. 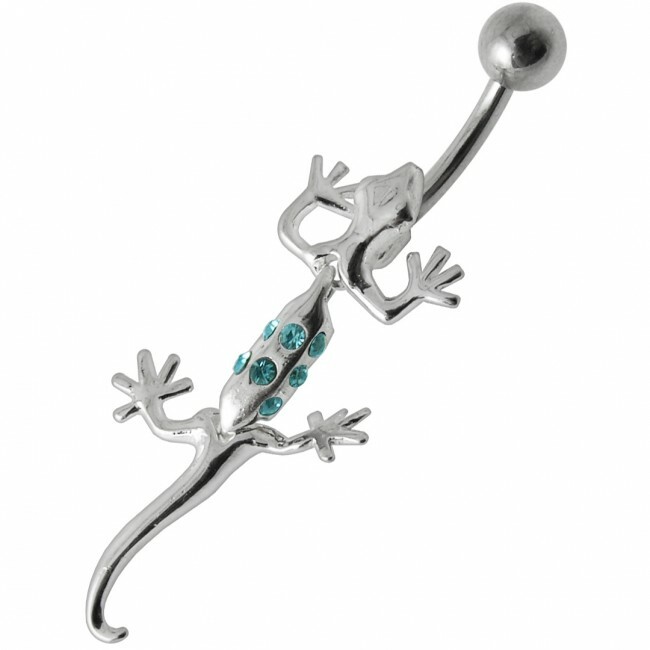 This designer lizard navel bar is available in a standard size: 14G-10 mm - 5 mm.